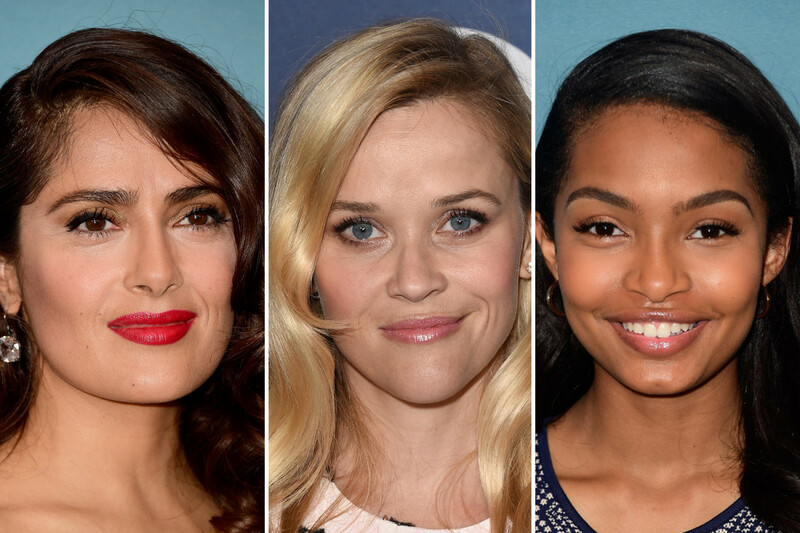 For Variety magazine&apos;s annual Power of Women luncheon last week, celebs came out in their best daytime beauty looks: soft waves, glowing skin and (weirdly?) lots of false lashes. Reese Witherspoon at the 2015 Variety Power of Women event. 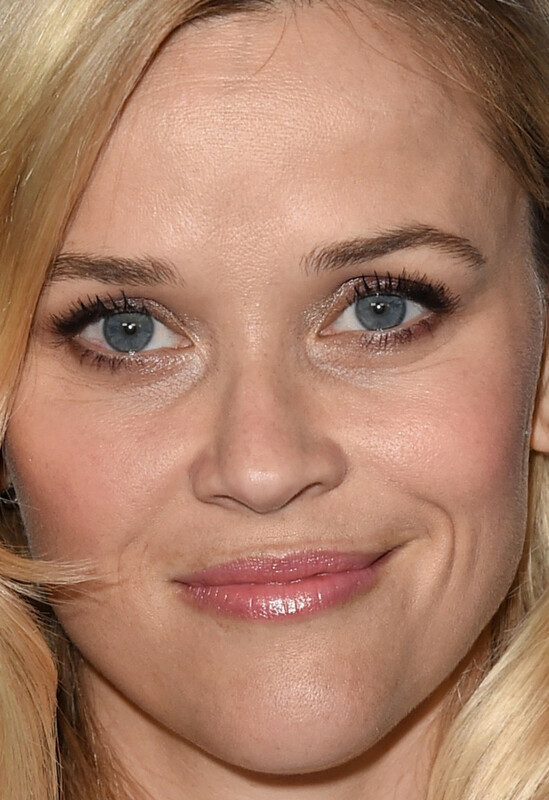 Close-up of Reese Witherspoon at the 2015 Variety Power of Women event. Reese looks good—REALLY good! It&apos;s hard to believe she is 39 years old, because her skin is truly in peak condition. 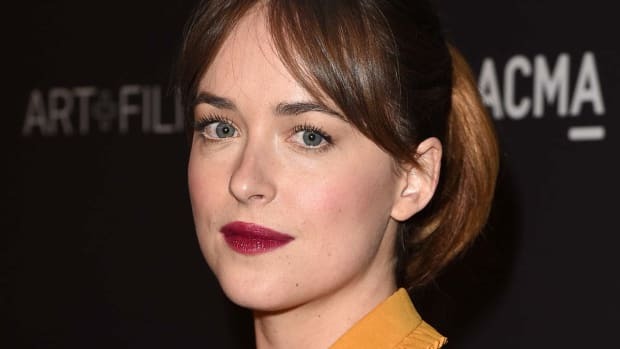 On that note, I love that you see real skin here, not foundation, and that she didn&apos;t overwhelm her delicate features with tons of liner or lipstick. The pink gloss, sheer blush, shimmery shadow and chunky black lashes are exactly right for her. Oh, and let&apos;s talk about her hair. The waves are a nod to vintage style, but brushed out and casually tucked behind one ear, so they feel super-effortless. She nailed this! 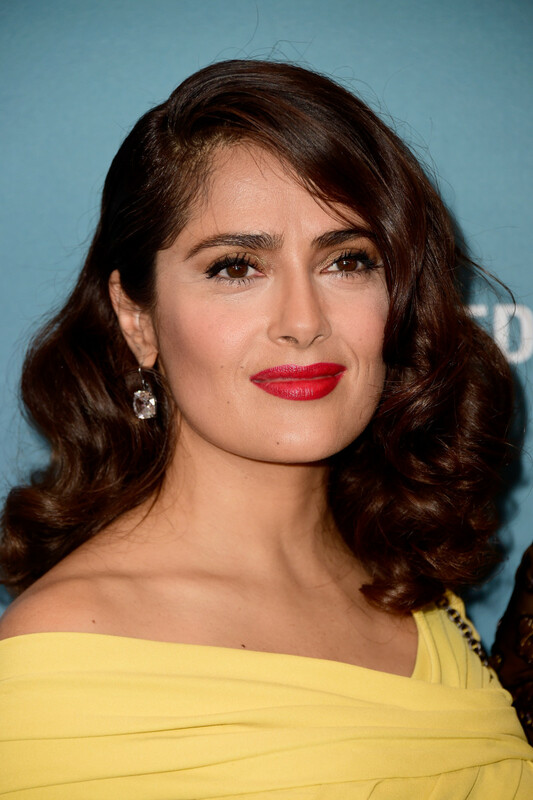 Salma Hayek at the 2015 Variety Power of Women event. 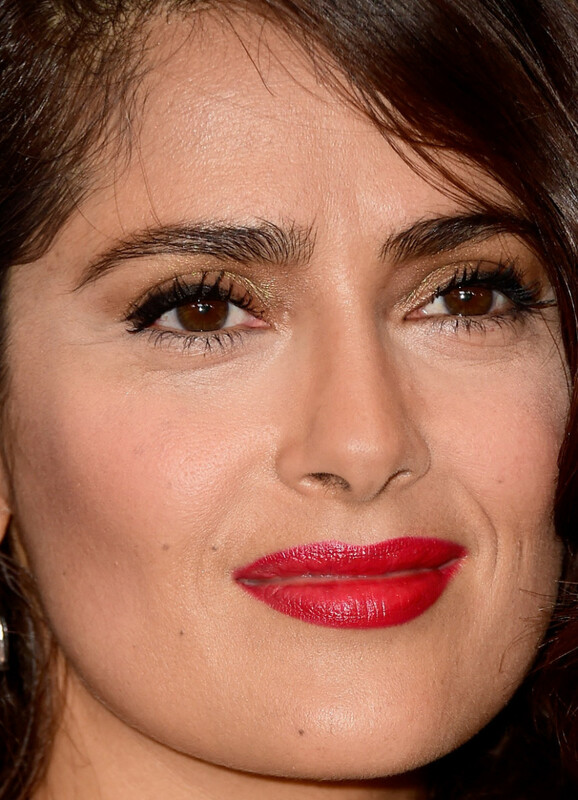 Close-up of Salma Hayek at the 2015 Variety Power of Women event. Salma is also blowing me away here! She went even more retro than Reese, with tighter mid-length curls in a deep side part and pinned back on one side. I love the unexpected pairing of red lips with a bright banana yellow dress—and gold eyeshadow up to the brows. You wouldn&apos;t think it could work, but it does. Notice how the black liner on the upper lash lines give her face definition, along with the chunky upper lashes and full brows. Allow me to once again remind you, Salma is 49. Forty-nine!!! Yara Shahidi at the 2015 Variety Power of Women event. 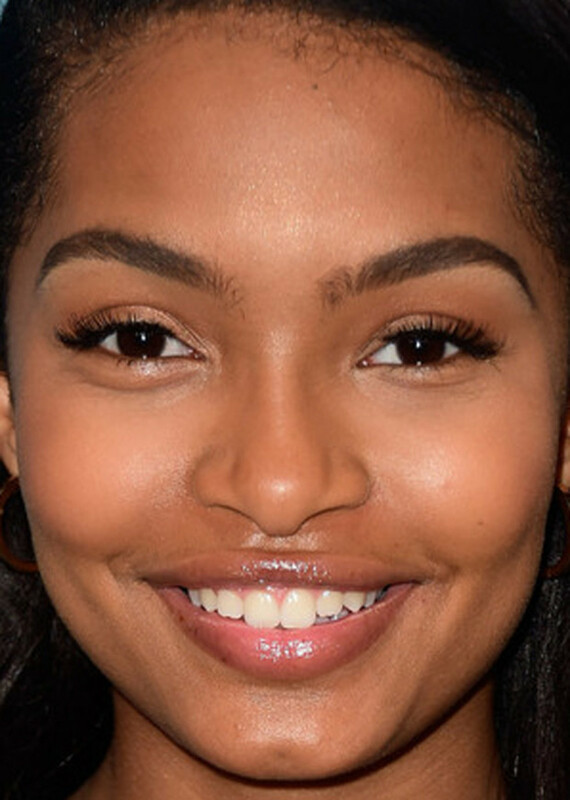 Close-up of Yara Shahidi at the 2015 Variety Power of Women event. Yara is making her Beauty Editor debut here, and I just realized she is only 15! What a beautiful girl—and I love her clean, fresh styling. Not really a fan of false lashes at such a tender age, but her clear lip gloss, gorgeously arched eyebrows and simple hairstyle are all great. Jaime King at the 2015 Variety Power of Women event. 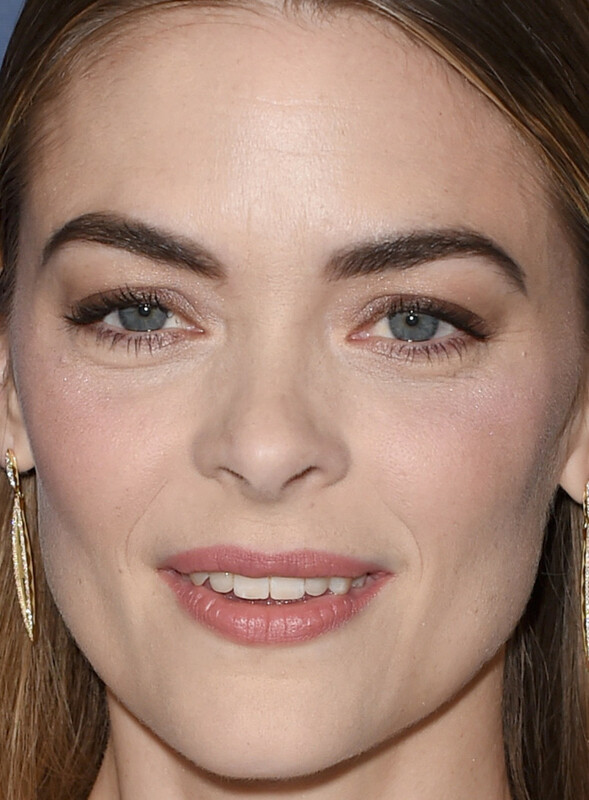 Close-up of Jaime King at the 2015 Variety Power of Women event. Thank goodness Jamie ditched those false lower lashes! I really love this. Darkened brows are a great way to frame the face when hair is so sleek and tucked behind both ears. I think the pencil on the tails is a tad too obvious, but otherwise, the colour and shape work well. The rest is all pretty rosy tones on lips and cheeks, with subtle smoky eyes in soft plums. Jenna Dewan-Tatum at the 2015 Variety Power of Women event. Close-up of Jenna Dewan-Tatum at the 2015 Variety Power of Women event. As always, I&apos;m mesmerized by Jenna&apos;s green eyes. Wouldn&apos;t it be nice to see her bring them out with thick swipes of black cat eyeliner, instead of the heavy false lashes that she is so fond of? That&apos;s my dream, anyway. But everything is basically working here, from her dewy skin to her muted lips to her textured lob style. Anna Kendrick at the 2015 Variety Power of Women event. Close-up of Anna Kendrick at the 2015 Variety Power of Women event. These delicate, feminine looks seem to work best on Anna. As usual, I have major skin envy! I also like her matte pink lips and the hint of shine at the inner corners of her eyes. Hair looks insanely healthy as well. Where this disappoints, IMO, is with the heavy false lashes. Particularly the strip on the right. Individual ones would&apos;ve been better. Thandie Newton at the 2015 Variety Power of Women event. Close-up of Thandie Newton at the 2015 Variety Power of Women event. So great to see Thandie rocking her natural hair texture! Makeup-wise, it appears she went basically bare-faced, except for bit of mascara and liner. I definitely like it, but since she wears bright lips so well, a punchy orange might have been fun here. Rosie Huntington-Whiteley at the 2015 Variety Power of Women event. Close-up of Rosie Huntington-Whiteley at the 2015 Variety Power of Women event. So now I&apos;m thinking that Bella Hadid isn&apos;t the only model who uses lip injections. Hmm... And possibly Rosie is dabbling in cheek fillers as well? Anyway, she still looks pretty here, and actually less wooden than usual. The lob was getting a bit boring, so I like her hair up. The pearly sheer plum on her lips totally reminds me of the Fig shade I&apos;m obsessed with lately (reviewed here). I think I can live with the false lashes, as they look quite fluffy and not stiff. Mary Elizabeth Winstead at the 2015 Variety Power of Women event. 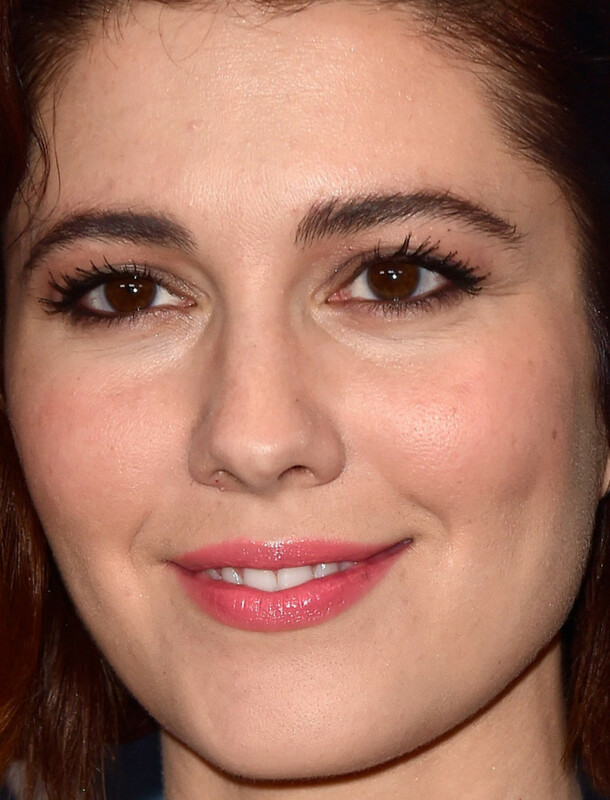 Close-up of Mary Elizabeth Winstead at the 2015 Variety Power of Women event. Looks like Mary intensified her hair colour compared to the last time we saw her. I prefer it a touch softer, so that you notice her face first instead of the saturated auburn. This is another example of the new chunky lash trend. I am a fan! I also like her bright pink gloss and matching blush. Gwyneth Paltrow at the 2015 Variety Power of Women event. Close-up of Gwyneth Paltrow at the 2015 Variety Power of Women event. I find it hard to believe that Gwyneth couldn&apos;t get a root touch-up appointment, so I guess she&apos;s trying out the new "rooted" hair colour trend. It&apos;s not quite working, am I right? I think it&apos;s because her blonde is so very yellow, the roots just look like her hair is in neglect instead of a deliberate styling choice. With her makeup, obviously powder is needed to tame the shine on her forehead. But I&apos;m more bothered by the heavy false lashes. I don&apos;t know why she is wearing them so often lately, because to me they feel so awkward on her. However, I suppose these are a huge improvement over her Oscars pair. Bethany Mota at the 2015 Variety Power of Women event. 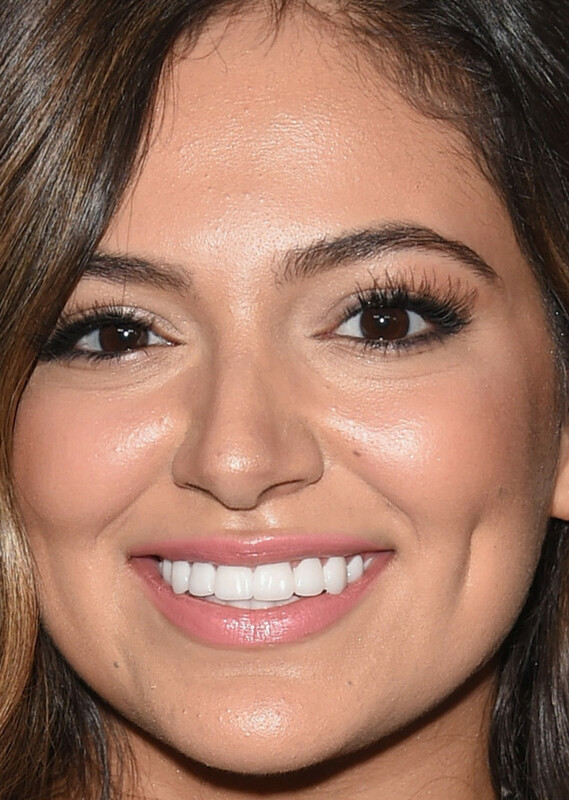 Close-up of Bethany Mota at the 2015 Variety Power of Women event. The last time we saw Bethany—on a red carpet, anyway—was at the 2014 MTV Movie Awards. Huge improvement here with the softer hair and fresher makeup! In fact, the only thing bothering me are the glaringly obvious, cray-cray false lashes. I&apos;m getting major Sadie Calvano vibes with the way one side looks longer (and more insect-like) than the other. 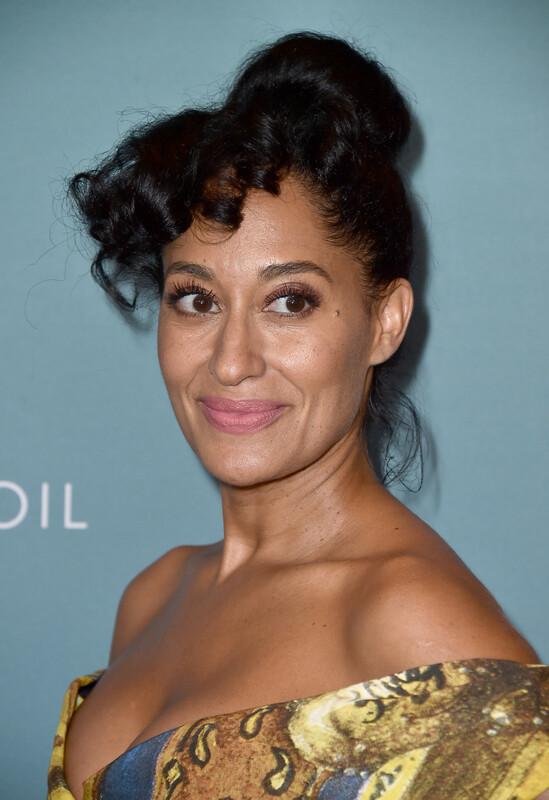 Tracee Ellis Ross at the 2015 Variety Power of Women event. 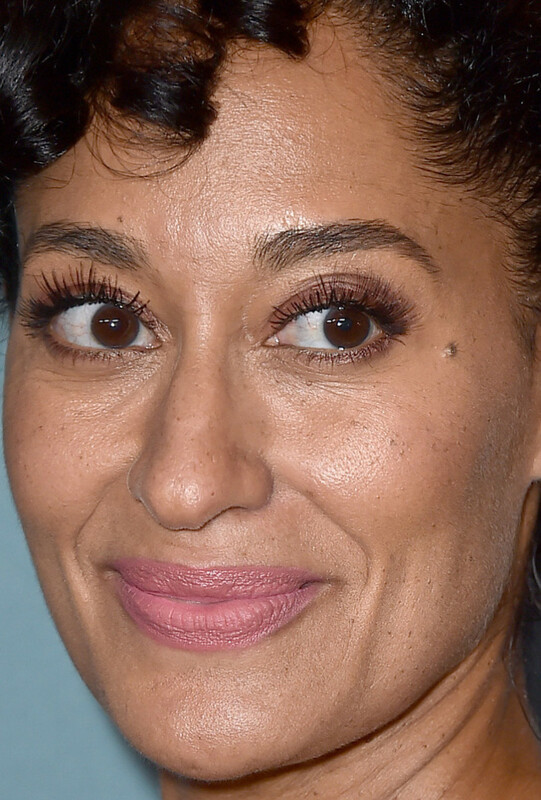 Close-up of Tracee Ellis Ross at the 2015 Variety Power of Women event. Tracee did a great job on her skin finish. I just love when you can see real skin, and freckles! I&apos;m also really enjoying the contrast of the cooler matte pink lipstick. The hairstyle, however, I am undecided on. I don&apos;t hate it, but there&apos;s something a bit costumey coming across—and I think you&apos;d notice her beauty more if her hair was sleeker. Also, the false lashes do not help. Ashley Tisdale at the 2015 Variety Power of Women event. Close-up of Ashley Tisdale at the 2015 Variety Power of Women event. Whoa, Ashley looks totally different compared to her last time on this blog, at the 2014 Young Hollywood Awards, when she was a blonde. On the one hand, I like the idea of matching your hair colour to your eye colour... but this vibrant red shade seems just too obviously faux. Unfortunately, her foundation is so heavy that it&apos;s cracking when she smiles. Also not a fan of the muddy blush. Molly Sims at the 2015 Variety Power of Women event. 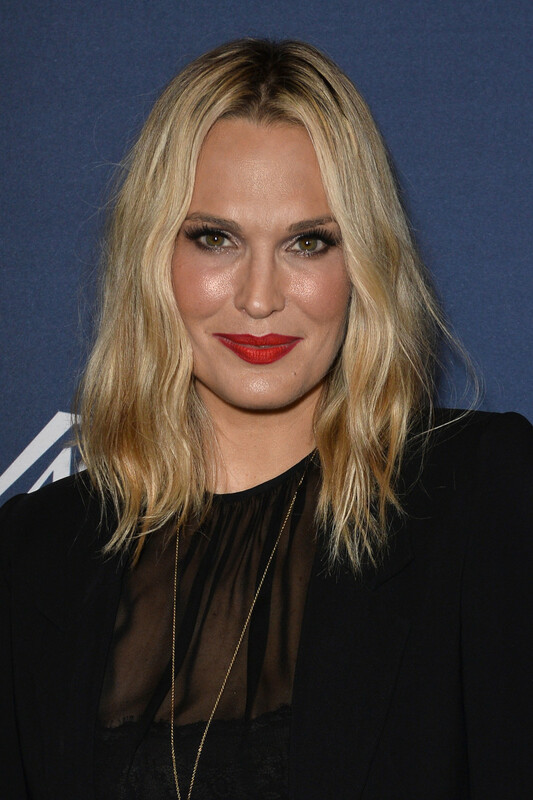 Close-up of Molly Sims at the 2015 Variety Power of Women event. 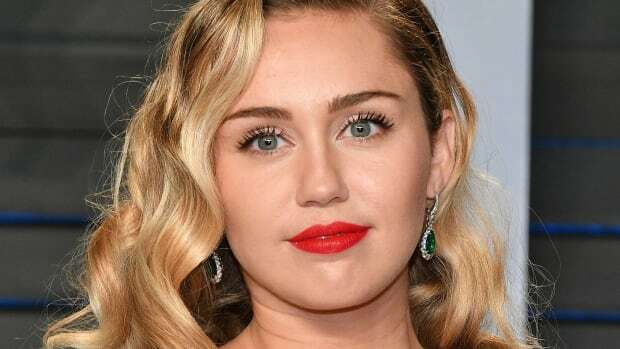 The look that shocks me the most from this event is definitely Molly&apos;s. It&apos;s so much makeup! Red lips, shimmery bronzer, glitter eyeshadow, over-the-top false lashes, overly blonde hair... I feel like I&apos;ve OD&apos;d. I just know there is a beautiful woman somewhere underneath that stuff!